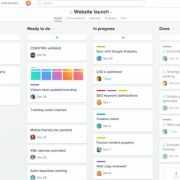 It also includes a Pre-assessment test to help users, Key definitions, Sample exam questions and answers, Case Study with exercise and suggested solutions. This first version of the book is based on the PMI’s PMBOK Guide Sixth Edition written by J. Ross. The price of the book is ₹ 699 and has total pages: 486. It is available in India, Nepal, Bangladesh, Srilanka, Pakistan, Bhutan & Maldives. One can buy it online from their official website www.bpbonline.com, BPB Publications. 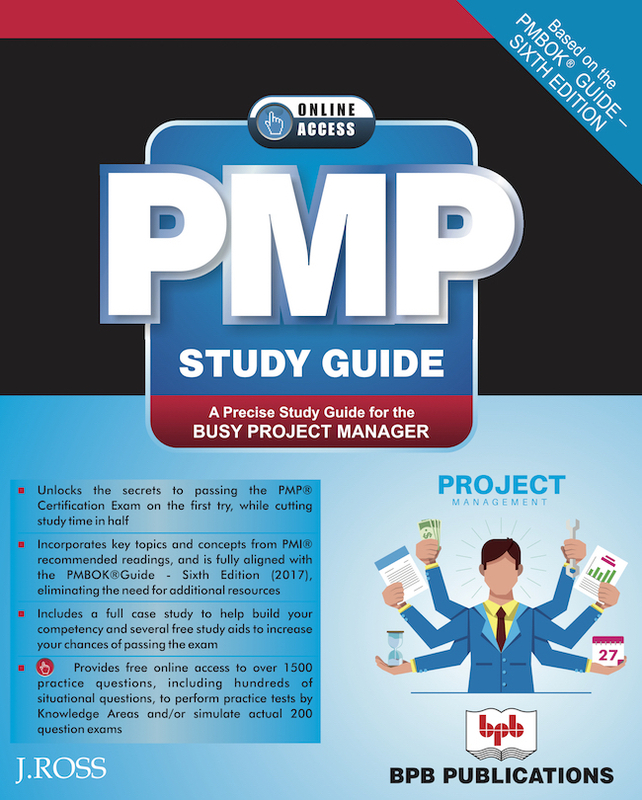 The Study Guide, used in conjunction with PMI’s PMBOK Guide-Sixth Edition, presents all the fundamental knowledge, concepts, exercises and practice exam questions a project manager needs to prepare for and successfully pass the Project Management Professional (PMP) Certification Exam on the first try while cutting study time in half. It covers all subjects addressed on the PMP Exam, including comprehensive performance domain and cross-cutting knowledge and skills defined within the PMI PMP Examination Content Outline and the PMI Code of Ethics and Professional Conduct. It provides free online access to over 1500 practice questions, including hundreds of situational questions, enabling users to perform practice tests by Knowledge Areas and/or simulate actual 200 question exams and receive feedback on incorrect answers. Details key topics, concepts and techniques from PMI recommended readings eliminating the need for additional resource. PMP Study Guide also presents a pre-assessment test to help users to develop a focused study plan; a tip for studying, time management and taking the exam; and a post-assessment test to evaluate readiness for the actual exam. If you go through the content you will know that it also supplies with things you need to know, key definitions and sample exam questions and answers and features a case study that runs throughout the exercises and suggested solutions to reinforce concepts and build real competency.